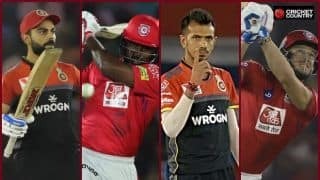 While there were not too many big hits like those from the MI versus KXIP clash, there was no shortage of drama, including an angry MS Dhoni rushing onto the field after getting out in the last over. Jos Buttler. 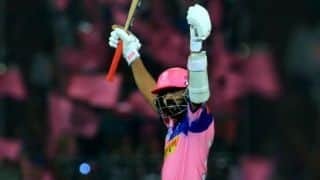 Ajinkya Rahane. Steve Smith. Ben Stokes. 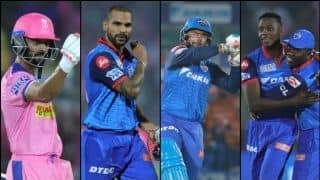 A batting order boasting of these four is sure to evoke fear in any bowling attack. But for RR, they have failed to fire with the exception of Buttler to some extent. 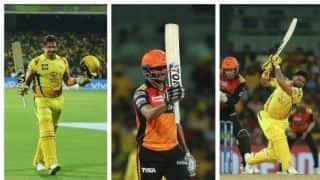 On Thursday night they were up against Chennai Super Kings, the best team of the ongoing season so far. They needed their big-four to fire. Buttler dazzled before fizzling out. Rahane struck three fours before being pinned in front. Smith, again, was slow off the block. And Stokes, well, he finished as their top-scorer with 28 but consumed 26 deliveries in doing so. The result was a modest total of 151/7. 28,5,1,0,21*,21. These were Ambati Rayudu’s scores in six innings for CSK this season before RR clash. A season after he finished as their leading run-getter in IPL 2018, Rayudu was failing to even come close to repeating that performance. Before Thursday. 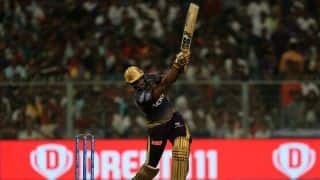 Coming in to bat at a time when his team was in deep trouble, Rayudu showed nerves of steel as he stitched what turned out to be a match-saving partnership with captain Dhoni. Chasing 152, RR had reduced the visitors to 24/4. This could have easily turned into a disastrous collapse, but it wasn’t to be. 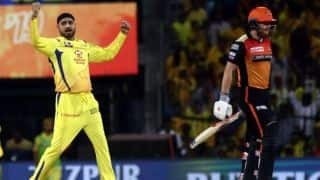 Rayudu struck two fours and three sixes in his 47-ball 57 – his first half-century of the season that kept CSK in the contest. And he scored what while batting at No. 4. RR succumbed to their fifth defeat in six matches this season against CSK in Jaipur. The results might give an impression they have been utterly disappointing but for those following them closely, the case is different. 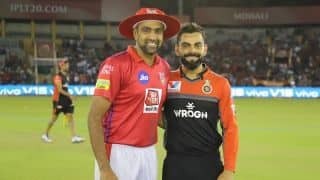 Take for example their two matches against CSK. In their first meeting in Chennai, RR had kept the home team quiet who were 115/4 in 17 overs while batting first at Chepauk. They finished with 175/5 and RR went on to lose by 8 runs. 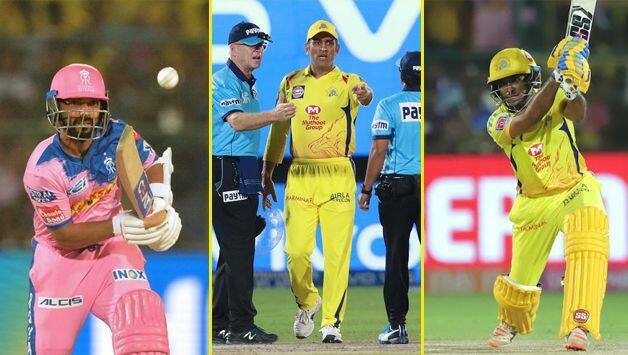 In their second meeting, CSK had a disaster of a start losing four wickers inside six overs. Again, at the end of 17 overs, they were 113/4 and needed 39 runs off 18 deliveries. RR had the edge. Again, they went on to lose by four wickets. On both occasions, it was Dhoni who proved to be the difference. 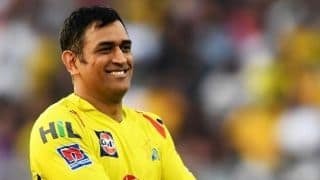 In their first clash of the season, the CSK captain scored an unbeaten 75 off 46 to push his team to a challenging total. And his second fifty also came against the same opponent and also in a winning cause – 58 off 43. MS Dhoni seldom shows his emotions. You rarely know if he’s elated or dejected. But twice this season he has lost his cool. 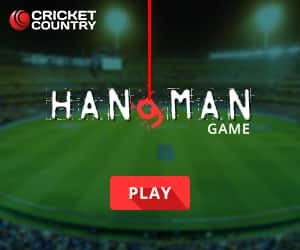 Once against his teammate [read Deepak Chahar] and then against umpires. 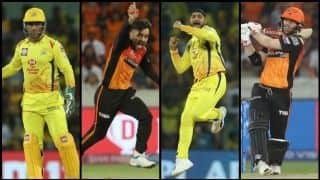 CSK had whittled down the equation to eight runs off final three deliveries with Stokes bowling the last over. The allrounder then bowled a full toss and umpire Ulhas Gandhe raised his arm, signalling it as a no-ball. The square leg umpire Bruce Oxenford overturned the decision immediately. The buzzer at the stadium signalling the free-hit went off. All this happened in a matter of seconds and confusion prevailed. Ravindra Jadeja, the on-strike batsman argued with the umpire. Dhoni, who had just walked back to the dug-out after being dismissed, made his frustration known. So much so that he walked back to the field – an illegal act. He had an animated discussion with the umpires while pointing his finger. You could easily sense his anger. He had no choice but to accept the outcome. Later, he was fined 50 per cent of his match fee for the dissent.